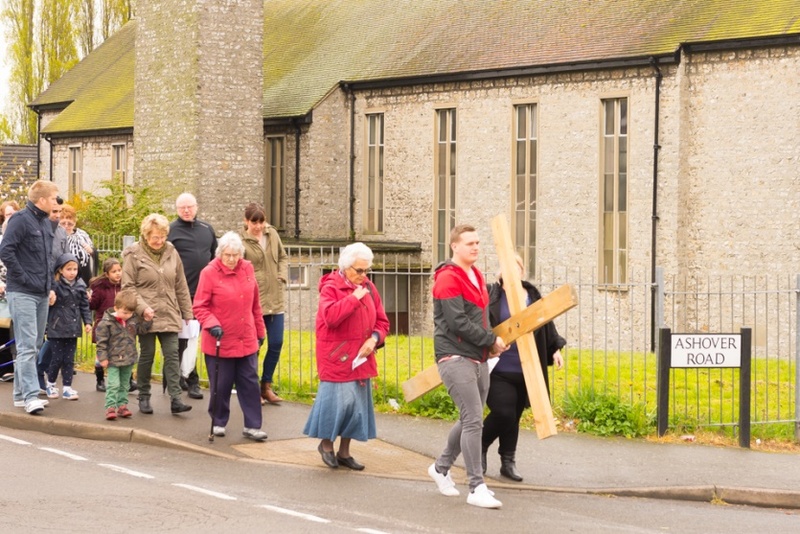 As is our tradition the Good Friday Walk of Witness began at St. Philip’s Anglican Church on Taddington Road……….. 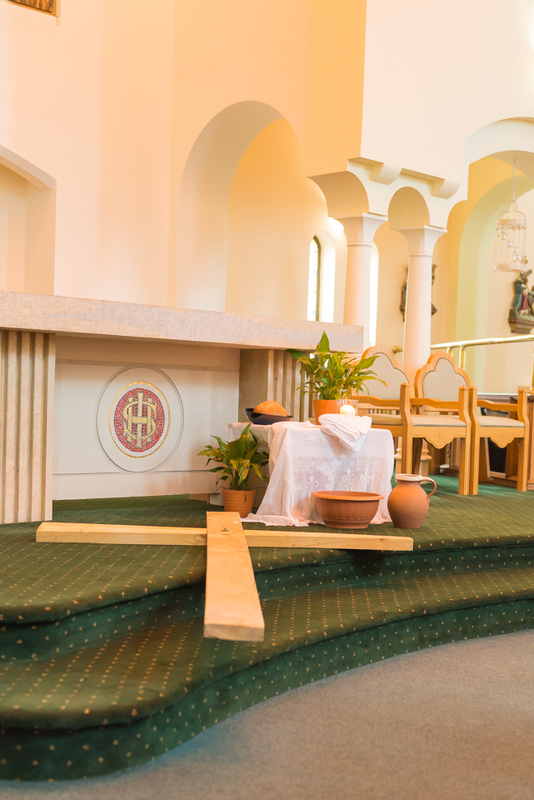 Here we listened to the beginning of Jesus’ Passion – the Agony in the Garden and His betrayal and arrest. The first candle is extinguished. 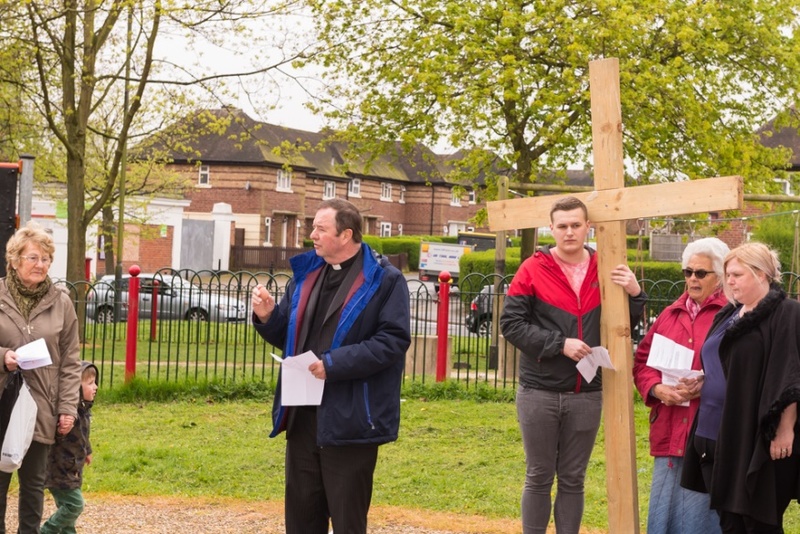 After prayers of confession and the first verse of ‘Where you there when they crucified my Lord’ we followed The Cross down through Chaddesden to Sussex Circus (an open space and play area close to a shopping parade). 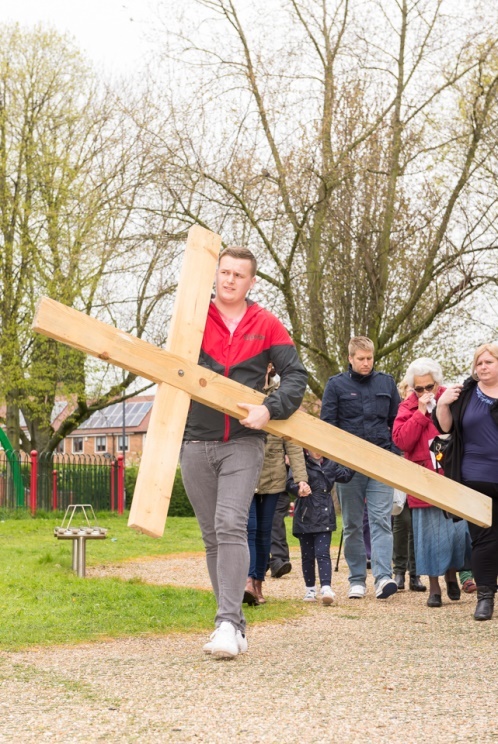 Following Prayers of Thanksgiving and the hymn ‘When I survey the wondrous cross’ we continued our witness down to St. Alban’s Catholic Church on Roe Farm Lane. 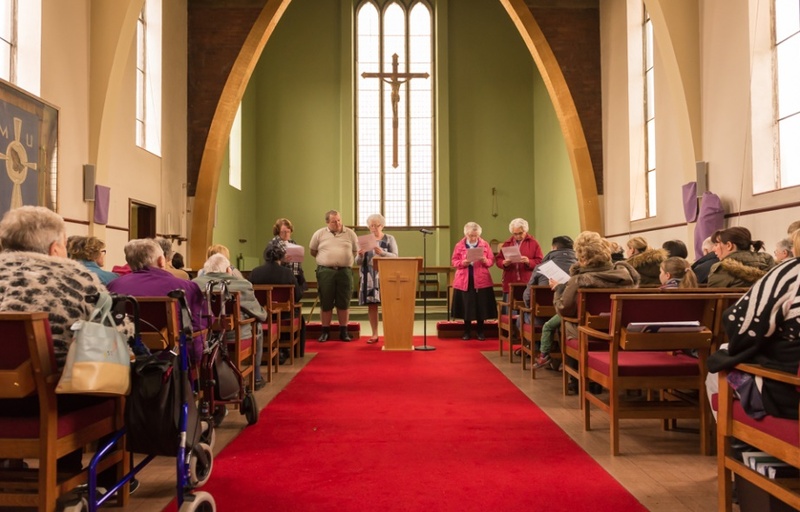 After Prayers of Intercession and the second verse of ‘Were you there…’ we again followed The Cross – to Mayfield Road Methodist Church. 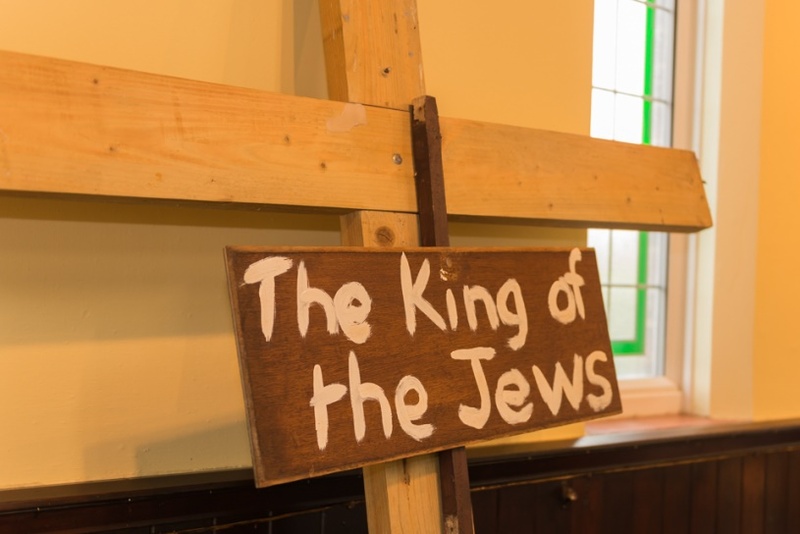 Here we heard the re-telling of the final, dramatic crucifixion and death of Our Lord Jesus Christ. 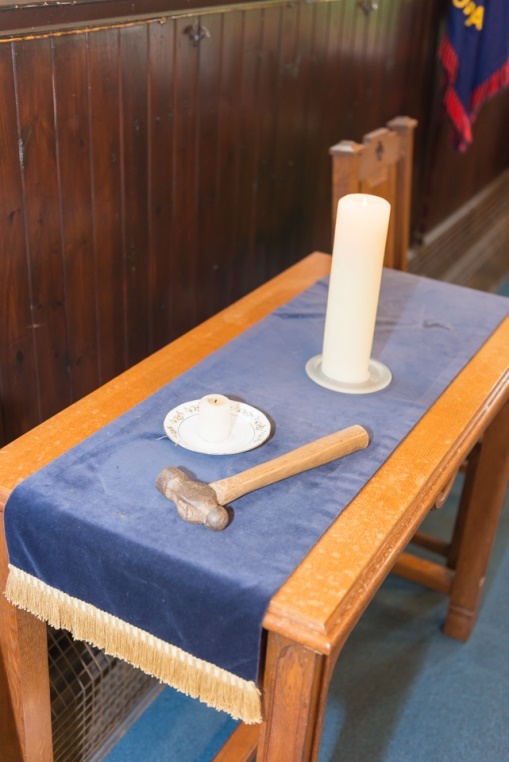 The third candle is extinguished and a hammer is placed on the altar, and we completed the hymn and said Prayers of Dedication At this point a new Candle of Hope was lit and the service ended with a closing prayer and blessing. 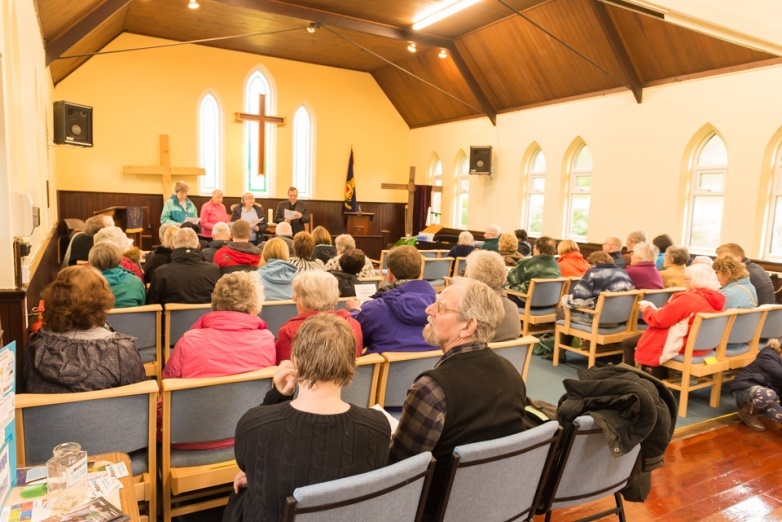 To complete our witness we moved through to the community hall for hot cross buns, tea and coffee, and fellowship with our fellow Christians. Photographs courtesy of Rev. Michael Futers, with thanks.